Growth and opportunity are driving factors for success in today’s expanding global economy. The prevalence of crossing borders to gain a competitive edge, sustain profitability, maximize investments or realize personal goals has resulted in a critical need for sophisticated counsel that can navigate this complex terrain. Saul Ewing Arnstein & Lehr’s Global Immigration and Foreign Investment Practice provides comprehensive services to help businesses and individuals achieve these goals. Our interdisciplinary team of multilingual professionals is experienced in immigration, corporate and securities, real estate, finance, international and tax matters and keenly understands the legal, political and business implications inherent in this field. We work closely with businesses that range in size from start-up companies to multinational corporations, foreign investors and individuals as they contend with complex regulations, evolving statutes and legislation, and increased government scrutiny to resolve issues quickly and efficiently, while remaining mindful of emerging developments that may affect a client’s interests. Fluent in Mandarin, Spanish, Portuguese, Hebrew, German, French, Italian, Arabic, Russian, Hindi, Urdu, Punjabi and Gujurati our attorneys have deep experience handling a vast number of immigration and foreign investment matters for our global clients. 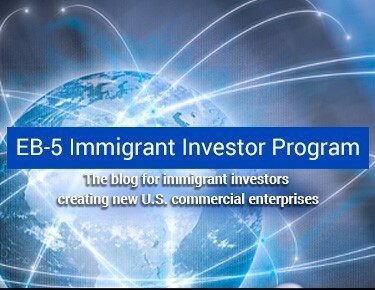 We have structured and negotiated private securities offerings for more than 300 EB-5 projects, in which offerings have amounted in excess of $8 billion.